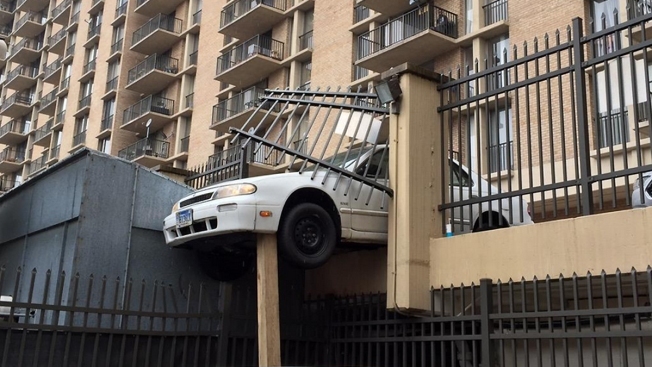 A car was left hanging over a ledge after its driver crashed through a fence in south Arlington on Friday. The sedan plowed through a fence in a parking area at an apartment building located at 4600 Four Mile Run. Those in the car were extricated and were not hurt, the Arlington County Fire Department said around 12:30 p.m. Friday.